Our lab, located at BC Children's Hospital Research Institute, on the Oak Street campus of BC Children's Hospital uses precision health to determine the cellular, molecular and genetic abnormalities responsible for immunological disease. The Turvey group aims to find new, improved strategies to treat – and even prevent – these burdensome and often life-threatening conditions. Check out our latest research projects. Our team aims to find new, improved strategies to treat and prevent immunological diseases. Selected publications from the Turvey Lab. Check out the latest news from the Turvey Lab. Take a look at some highlights from past events with the Turvey Lab team. 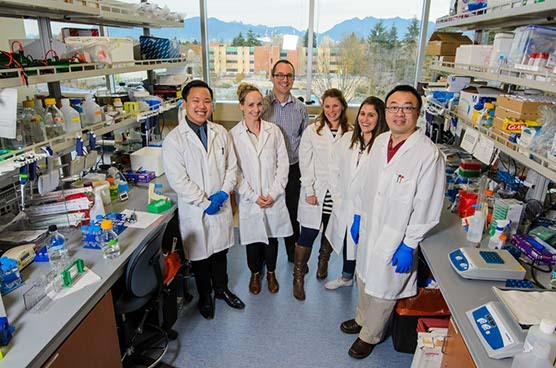 Contact the Turvey Lab at BC Children's Hospital Research Institute.